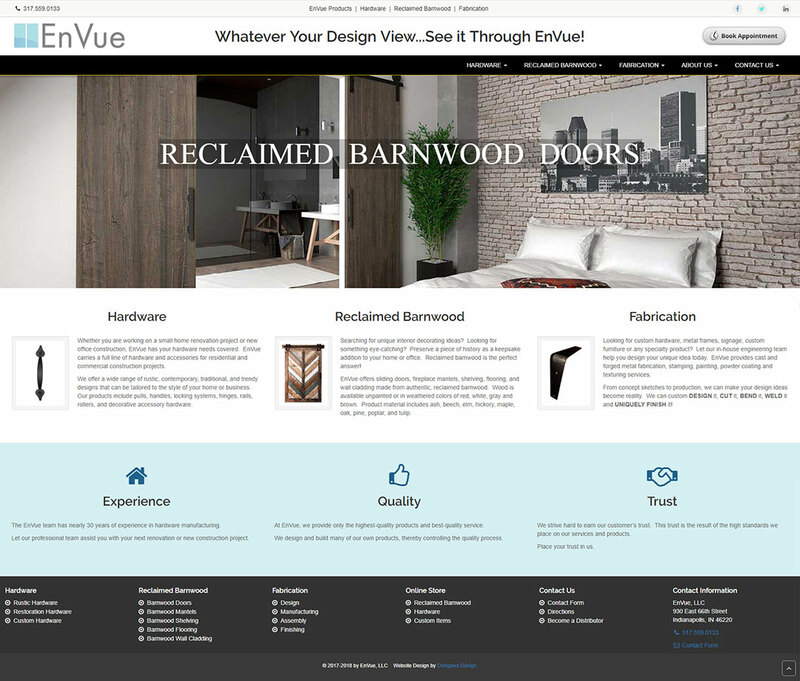 EnVue Products offers barnwood and restoration hardware, reclaimed barnwood products, and custom wood and metal fabrication. Their barnwood hardware includes rail and roller sets, shelf and mantel brackets, door frames, and decorative door accessories. They also design custom reclaimed barnwood doors and furniture. Additionally, they can manufacture custom hardware. The website serves as a showcase of their services, an online portfolio of their products, and an online store. Visit their website at EnVueProducts.com. Anderson Orchard was started in 1969 with the vision of having an orchard where customers had the freedom to pick their own apples. This is how they started and this is how it has remained. The orchard has grown to 150 acres of apples, red raspberries, various nuts, pumpkins, peaches, pears, and plums. Fresh produce, cider and a variety of other items can be bought in their retail store. The orchard also hosts an Apple Festival & Craft Fair in the Fall and a kids-friendly Octoberfest. Field Trips are welcome and hayrides are available in the Fall. 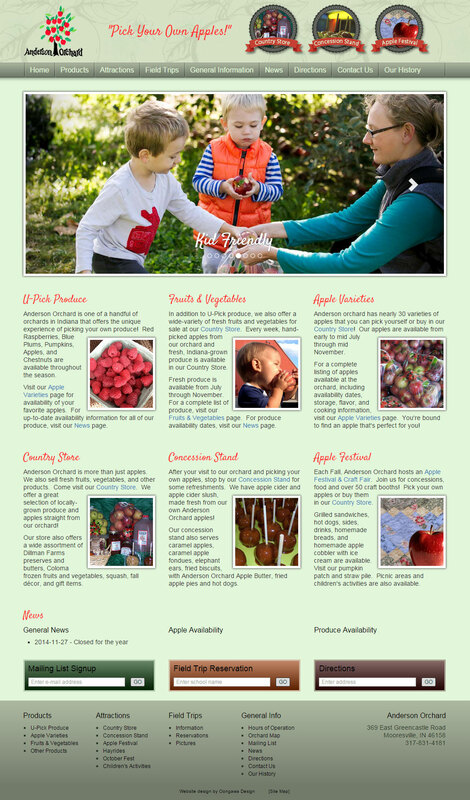 The website provides a list of u-pick produce, products available in their Country Store, attractions, field trip information and on-line reservations, and up-to-date news on product availability. 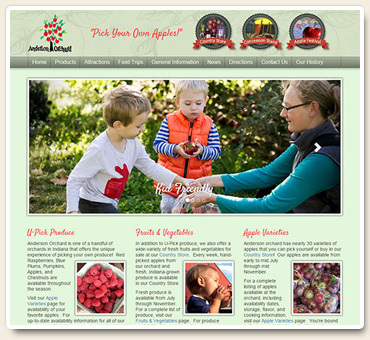 Visit their website at www.AndersonOrchard.com. 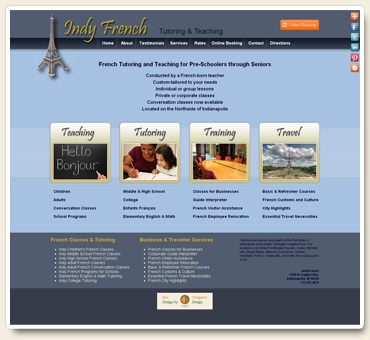 IndyFrench offers French teaching and tutoring to children, teens and adults. It also offers adult French conversation classes, in-school French programs and elementary school math and English tutoring. IndyFrench also provides services to local businesses and travellers planning a visit to France. The recently redesigned IndyFrench website includes a biography of the owner and an overview of the teaching philosophy, as well as a full description of their services. The website design includes social media integration, custom SnapAppointment class scheduling integration, custom Google map integration and custom Google translation integration. Visit their website at www.IndyFrench.com. 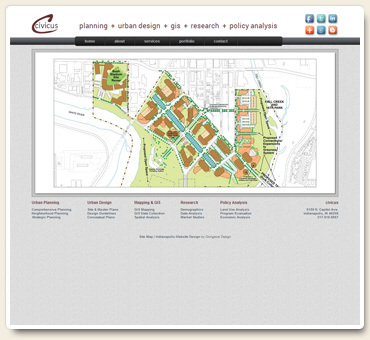 Civicus Planning is an urban planning company that provides planning, urban design, mapping & GIS, research and policy analysis services. 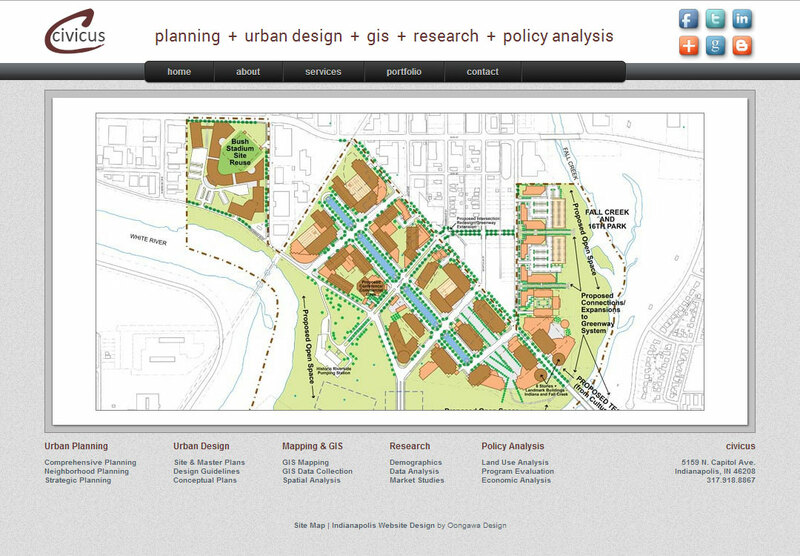 The recently designed website showcases a portfolio of their urban planning work. Visit their website at www.CivicusPlanning.com. Paul Holdman is a guitarist and songwriter based in Indianapolis. His musical style ranges from Blues, Rockabilly and Soul to Surf, Rock, Country and Jazz. 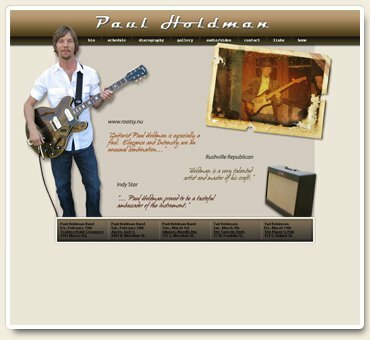 Paul's website provides basic biographical information on the artist, his discography, an online schedule and photo gallery. The website also includes a custom YouTube video page and the ability of the artist to update his own performance schedule. 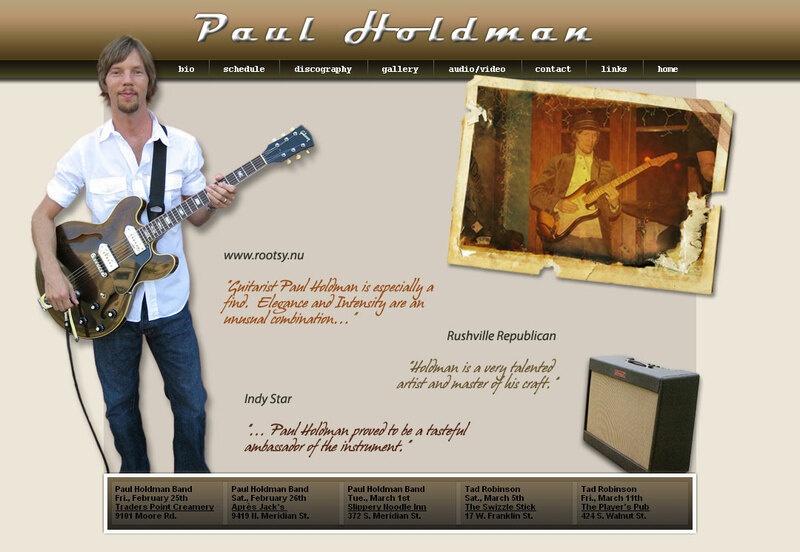 Visit his website at www.PaulHoldman.com. Indiana Golf Car sells, services and repairs new, used and custom golf cars. They also provide golf car service and repair, golf car rentals and golf car part sales. 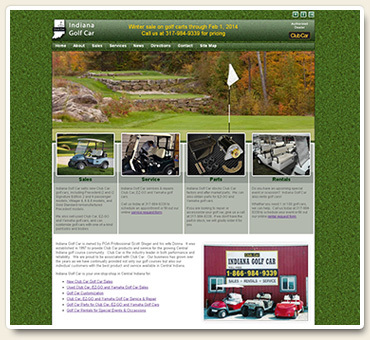 Their website was recently redesigned and includes information on new Club Car golf cars, used and custom golf car listings, an online service request form, an online rental reservation form, and Facebook and LinkedIn social media integration. 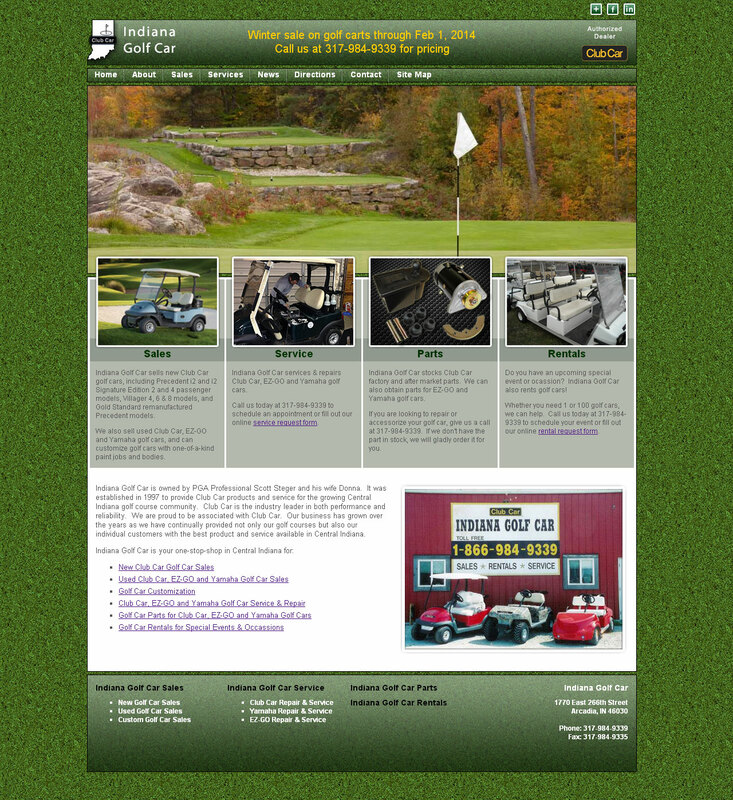 Visit their website at www.IndianaGolfCar.com. J. Razzo's is an Italian Restaurant & Wine Bar whose emphasis is on quality, from buying only the best ingredients – domestic and imported – to serving the best food at a reasonable price with friendly, attentive service. Their sauces, dressings, and some of their pasta and breads are made fresh daily in their kitchen. 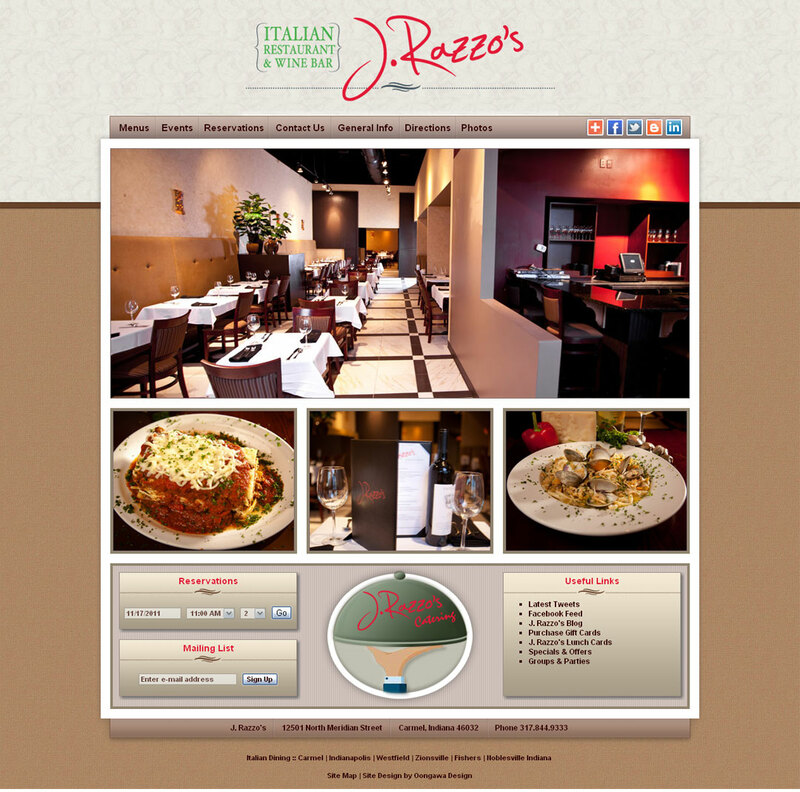 The recently designed J. Razzo's website includes full-text lunch, dinner, dessert, wine and catering menus, social media integration, custom OpenTable reservation integration and custom Google map integration. The website also provides information about special events, specials, gift cards, catering and restaurant photos. 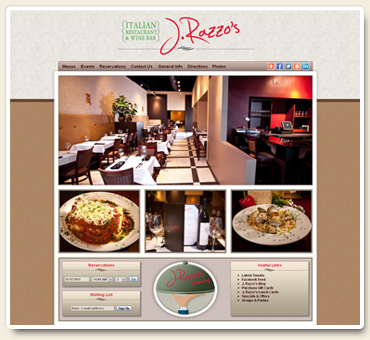 Visit their website at www.JRazzos.com. 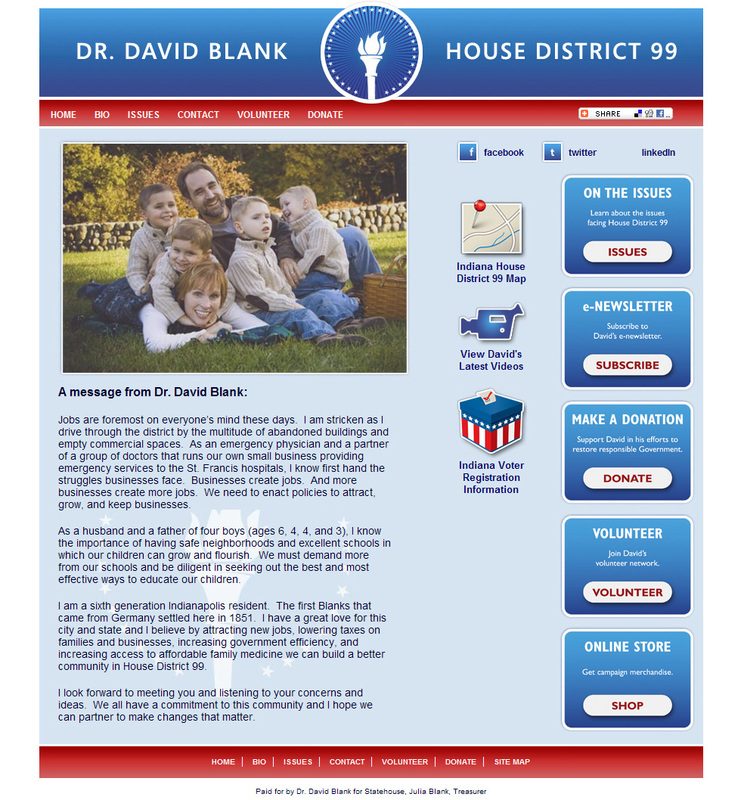 The Vote Blank website was created for Dr. David Blank, who was running for Indiana House Distric 99. 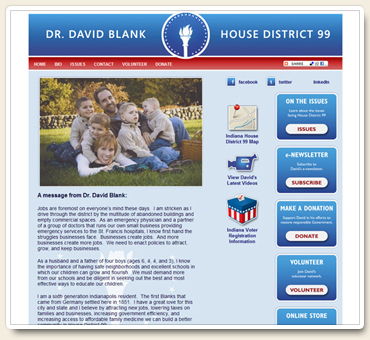 The website contained the candidate's biography, where he stood on issues, volunteer opportunities and the ability to donate to the campaign. The site also provided the ability to sign up for an e-newsletter, purchase items from an online store and voter registration information. The campaign's Facebook page was integrated into the website and an interactive House District map was available through custom Google Map and Google Earth integration. The U.S. Women's Amateur Championship was hosted by Crooked Stick Golf Club in 2007. Oongawa Design worked with a graphic designer to create the website for the event. 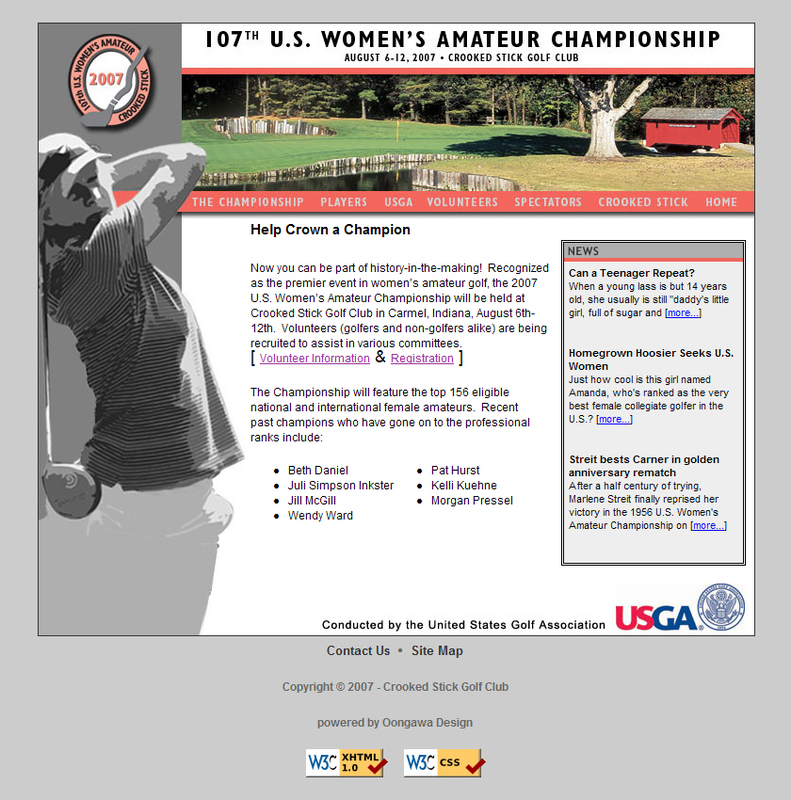 The website provided information about the Championship, the players and Crooked Stick Golf Club. Special information areas were also created for the United States Golf Association, volunteers and spectators. Other features included tournament news and an interactive golf course layout. 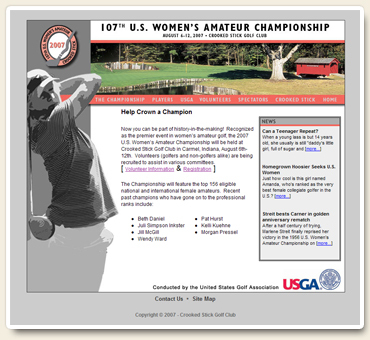 The website, www.2007USWAmateur.com, is still active, but has not been updated since the completion of the event. 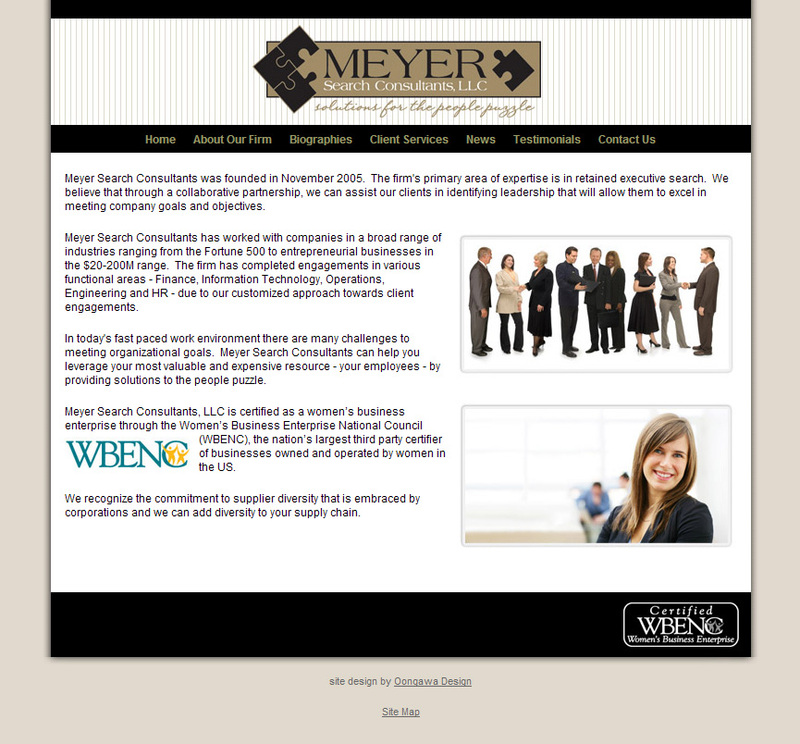 Meyer Search Consultant’s primary focus is senior level retained executive search. Their services include recruitment strategy, organization development and leadership development. 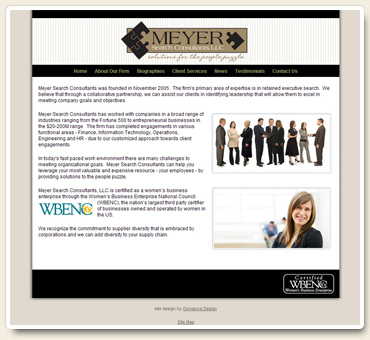 The website's primary goal was to highlight the services offered and the experience and capabilities of the company. Their recently redesigned website serves as a portfolio showcase of their work. 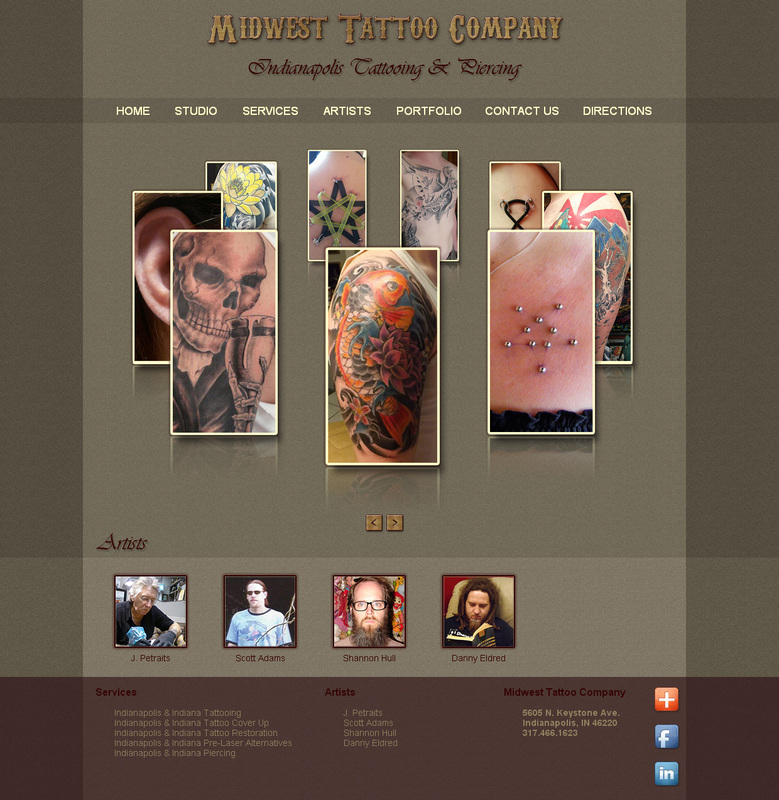 Visit their website at www.MidwestTattooCompany.com. 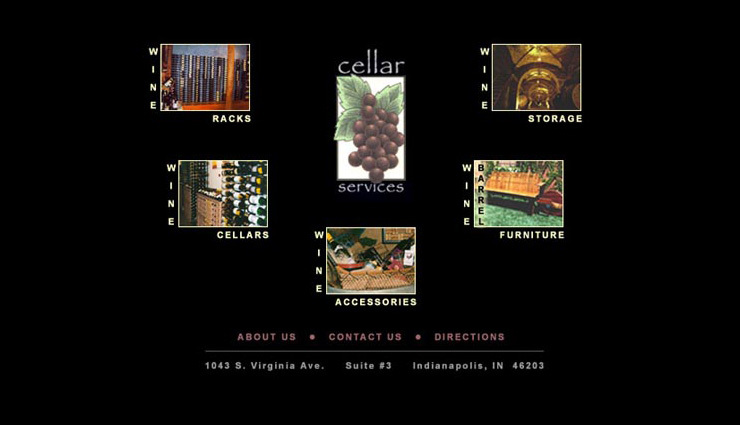 Cellar Services was a company that sold wine racks, wine accessories and wine barrel furniture. They also installed custom residential and commercial wine cellars and offered wine storage facilities. 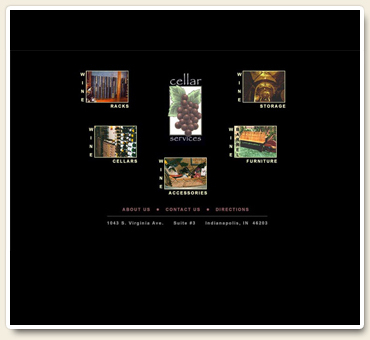 Their website highlighted the products that they sold and showed pictures of their custom wine cellars. 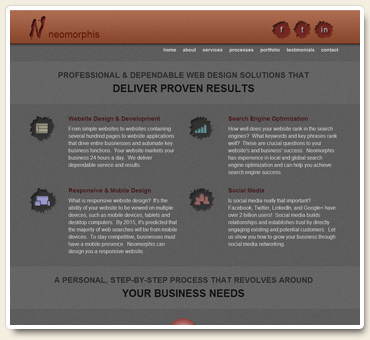 Neomorphis is the hosting arm of Oongawa Design. It also offers website design and development services. 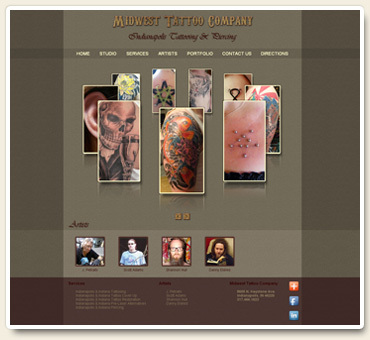 The website highlights their services and provides a web design portfolio. Visit their website at www.Neomorphis.com. 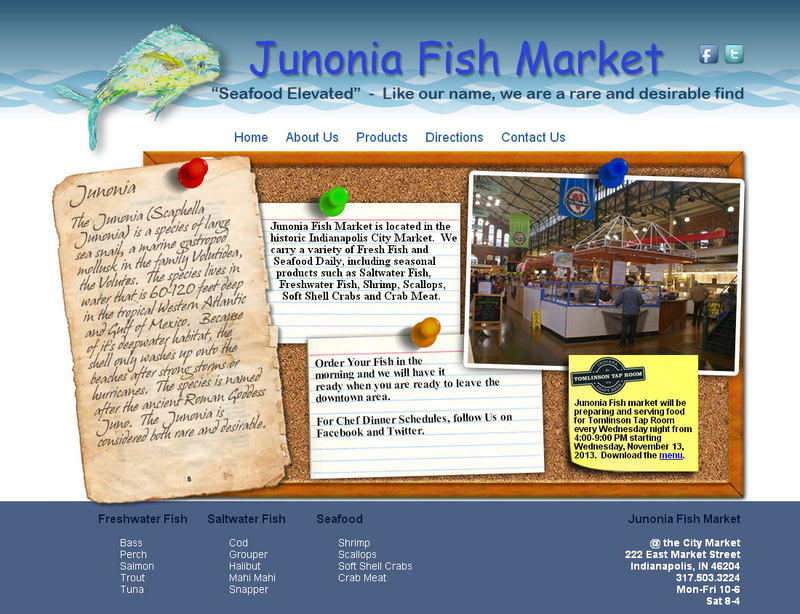 Junonia Fish Market is located in the historic Indianapolis City market and sells fresh fish and seafood. They also serve lunch. Their website provides basic information about the fish market and the products that they sell. 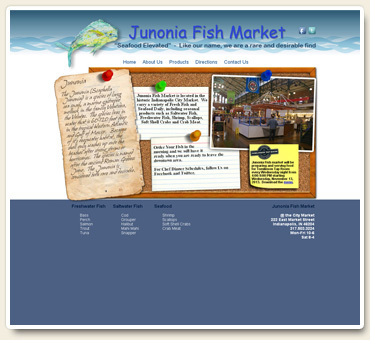 Visit their website at www.JunoniaFishMarket.com. 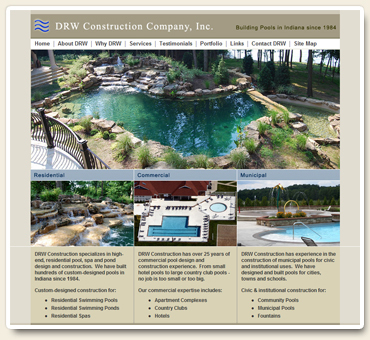 DRW Construction Company Inc. was founded in 1984 and specializes in the construction of swimming pools. They have constructed, serviced and renovated residential swimming pools and spas, as well as commercial swimming pools, including apartment, hotel, country club, community and municipality swimming pools and spas. The website serves as a showcase of their services and an online portfolio of their residential and commercial pool and spa construction. 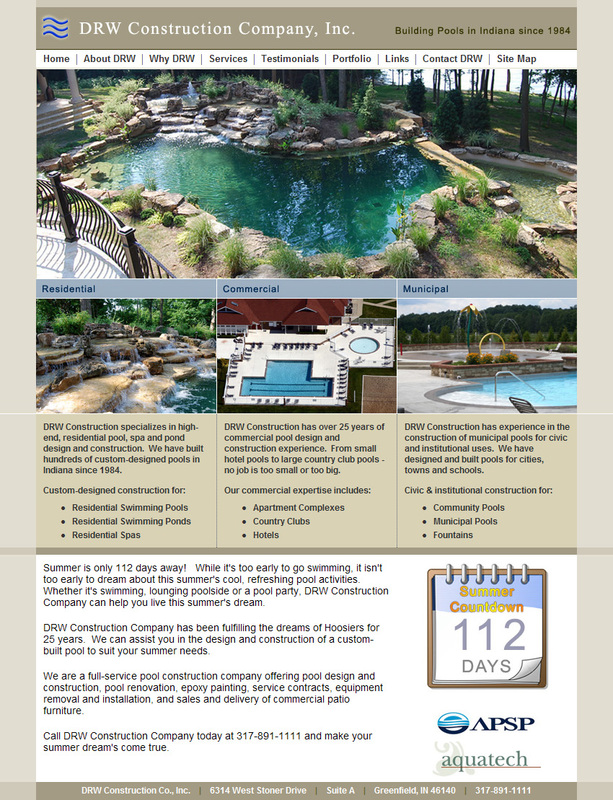 The website serves as a showcase of their services and an online portfolio of their residential, commercial, and municipal pool, spa, and pond construction.